Our awesome giveaways will feature goodies from all your favourite tech manufacturers, including AMD, Asus, Corsair, iiyama, Nvidia and Razer. On the last day of the Epic Giveaway we have the folks over at NZXT providing the prizes. There's a special edition of the excellent H440 chassis, Kraken X52 liquid cooler, 700W Hale 82 V2 power supply, a trio of Aer RGB 120mm fans, another trio of Aer RGB 140mm fans, and the NZXT Puck. Want to be in with a chance of winning? Answer the following question, and don't forget, you can also claim a free second entry via Facebook. Good luck and thank you for taking part in the 2017 Epic Giveaway! The competition winner will be picked at random from all eligible entries that arrive by 09:00 London time on the closing date, January 15, 2018. 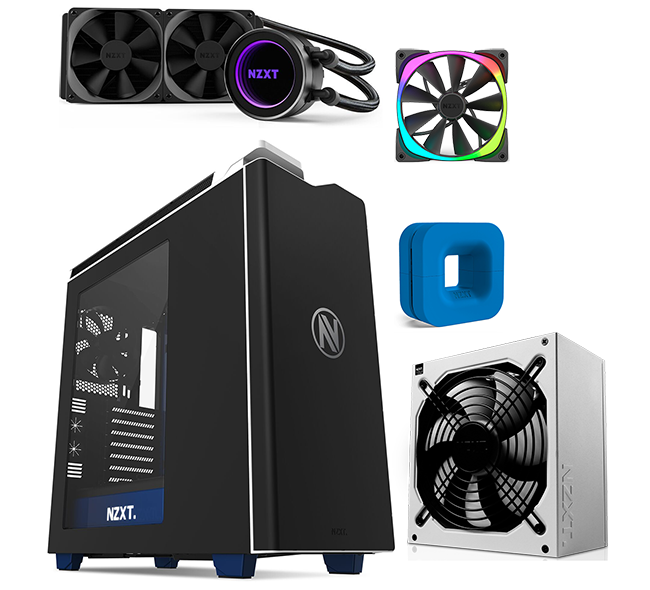 The prize is a special edition NZXT H440 chassis, Kraken X52 liquid cooler, 700W Hale 82 V2 power supply, a trio of Aer RGB 120mm fans, another trio of Aer RGB 140mm fans, and the NZXT Puck. If I pick C and win, I may also get the bananas. Not just bananas, _great_ bananas! My PSU broke down yesterday…hope to God I win this one. I love receiving great bananas. No wonder this is the new big thing in the PCMR!